Up until it was time to publish the articles and poems, I was a one-woman entity. This was intentional by my design and it has taken its toll. I thought I was going into the very deep end of the pool with this forum. Instead, I found myself in the middle of an ocean of trauma. Fortunately, I had many resources in the form of twenty-four years work with Dr. Clara Whaley-Perkins, a Black feminist licensed clinical psychologist and founder of the Life After Trauma Organization, a fourteen year practice of vipassana meditation, and a trusted inner circle of sister-sibling-brother friends during this process including Mia Mingus, Jennye Patterson, Heba Nimr, C. Nicole Mason, Marie Ali, Josslyn Luckett, Heidi R. Lewis, Tamura Lomax, Luz Marquez-Benbow, Mari Morales-Williams, Nikki Harmon, Yvonne M. Jones, Kai M. Green, Sonja Ebron, Evelyne Laurent-Perrault, Jonathan Crowley, and Molly Broeder Harris. Even with all of human and spiritual resources, there were several times when my head went under the water. I didn’t drown because of the support of resources. The waters are calm for now. I hope I can mentally and emotionally rest a while before the ferocious waves return because they will return. This is the nature of personally and professionally tackling child sexual abuse as an adult survivor. There are so many layers of residual trauma. All of the JBC individual fellows and two organizational grantees came together in the first quarter of 2016 and formed an ad-hoc collectively defined #SurvivorUnion. We worked together to support each other both in response to an organizational crisis and with our individual projects, which focused on addressing and ending child sexual abuse. It hasn’t always been a crystal stair amongst us, and I am profoundly grateful for the community that we, Mia Mingus (Living Bridges Project),Luz Marquez-Benbow (Love in Sister/Brotherhood), Amita Swadhin (Mirror Memoirs), sujatha baliga(Impact Justice), Tashmica Torok (Firecracker Foundation), Sonya Shah (Project Ahimsa), Ignacio G. Rivera (The Heal Project), Ahmad Greene-Hayes (Children of Combahee), and Aqeela Sherrills co-created. I can’t imagine this journey without their presence, friendship, camaraderie, and support. Each of these individuals are doing incredible ground-breaking work to pull up the roots of child sexual abuse in marginalized communities. I continue to learn so much from them and their work, which inspires my own. During the first six months of 2016, I had the amazing opportunity to be the Sterling Brown Visiting Professor of Africana Studies at Williams College. My Africana Studies colleagues Rhon Manigault-Bryant and James Manigault-Bryant invited me to Williams College and quickly became my friends and spirit family. It is because of them that I was very fortunate to work with my former student and research assistant Aunrika Tucker-Shabazz. In addition to Rhon and James, I also created a really important close-knit community with VaNatta S. Ford, Rob White, Sophie Saint-Just and Daniel Goudrouffe, Rashida Braggs, Will Rawls, Meg Bossong, Ferentz Lafargue, Vivian Huang, Merída Rua, Amal Eqeiq and Anicia Timberlake. I was able to share my work in process with each of them, and I also shared a lot of much-needed laughter and fun times with them in the metropolis known as Williamstown, MA. Since 2012, TFW has conducted multiple forums, allowing our readers to delve deep with TFW collective members and other writers on a wide range of topics, including, but not limited to: Palestine; Women’s Filmmakers; Muslim Feminisms; Voting; Violence; Black (Academic) Women’s Health; World AIDS Day; Masculinities; Race, Racism, and Anti-Racism within Feminism;Assata Shakur and the Black Radical Tradition; the Aftermath of the (George Zimmerman) Trial;Feminist Theory: A College Forum, Love As A Radical Act; Disabilities; Mass Incarceration and the Prison-Industrial Complex in honor of and featuring Mumia Abu-Jamal; Audre Lorde; Toni Cade Bambara; Climate Change and Feminist Environmentalisms; Campus Violence, Resistance, and Strategies for Survival; Shout Your Abortion; and June Jordan. 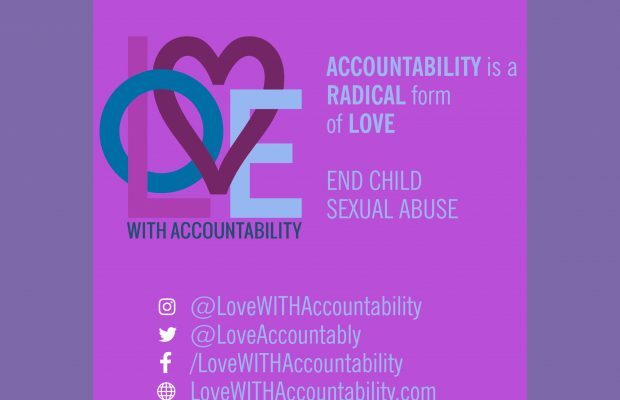 The #LoveWITHAccountability forum is a part of TFW’s radical continuum.